This week I only had one day off and I was feeling a bit sick as I had caught a cold so I didn't really have anywhere planned to visit. I did, however, need to go and open another bank account. 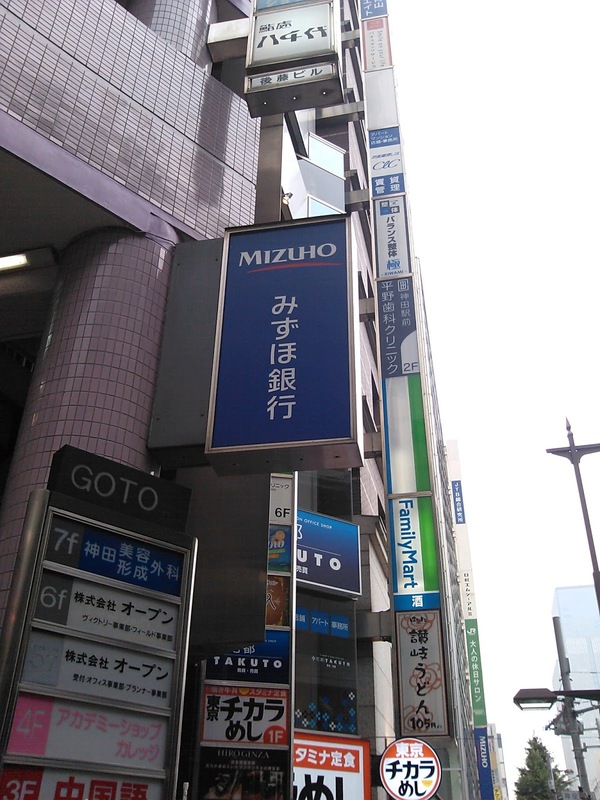 When I got here, I opened an account with a bank called Shinsei bank. Their website and online banking are completely bilingual. 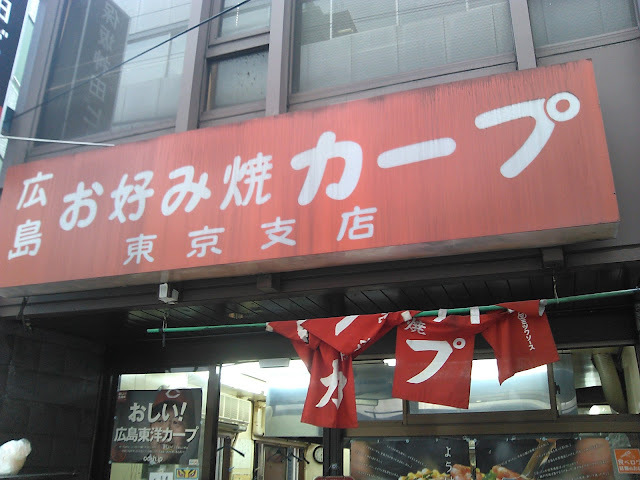 Their branches also usually have some English speaking staff, so for the convenience, i chose them. 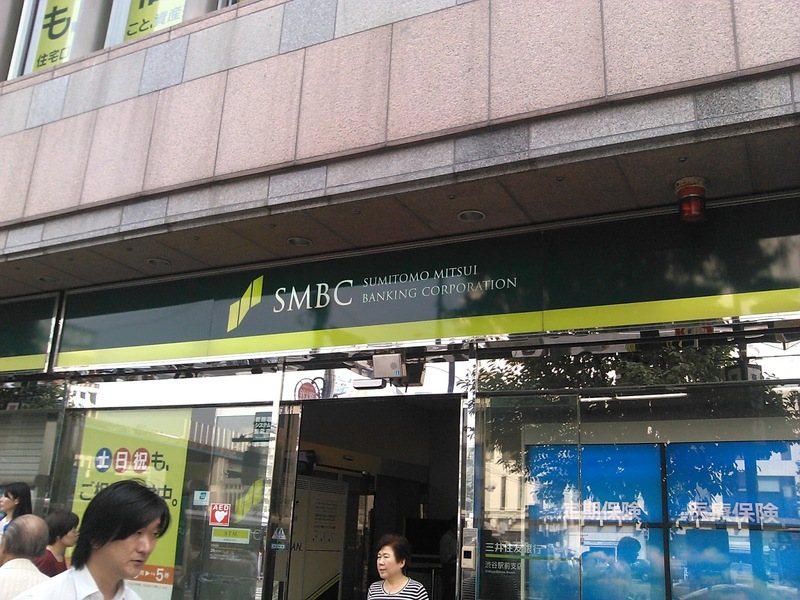 They are, however a foreign owned bank, and it is for that reason that some Japanese companies won't accept payments from Shinsei bank accounts. Strange, I know, but that is how it is here sometimes. 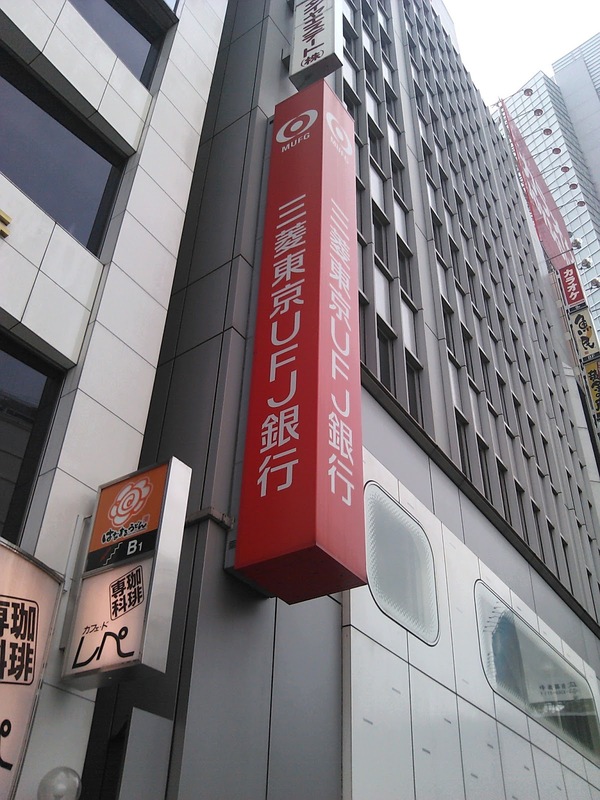 So I had decided to open a new account with one of Japan's major banks as I want to get my own internet service. The house I live in has internet, but the router blocks some streaming websites that I use to watch sports sometimes. Some of you who read this blog may be doing so as you may be about to move to Japan, or are thinking of doing so, so this information is specifically aimed at you. Just as I was about to head outside, I heard a thunder storm start up, and I thought, yep, it's my day off!! I grabbed my, by now, well used umbrella and headed out the front door. This is what it looked like. 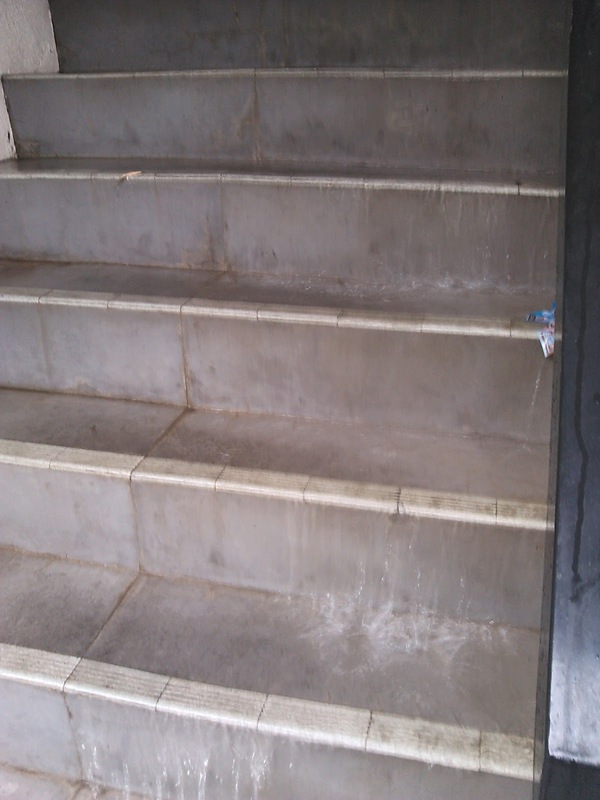 The rain was so heavy that the steps leading from my front door down to the road level resembled a waterfall! I went to the next one on the list and walked inside. The information lady was very friendly and spoke quite good English. She sat down with me and started going through the process and then told me that I would need to either go to the branch near my work, or near home to open an account as I couldn't open one at the branch I was in. I didn't really understand that, but it was no big problem. I asked her if she could tell me the address of the branch near work and she wrote it all down, gave it to me and then proceeded to tell me "oh, and you will also need a hanko"...... I handed back the directions and address she had kindly written down for me and left saying I would try somewhere else. This bank was Mitsubishi UFJ bank and their sign looks like this. Right next door was another one of the big banks so, feeling pretty frustrated at this point, I walked inside, was given a ticket and sat down waiting for my number to be called. It finally was and I walked up to be served. The first thing I told the lady was that I didn't have a hanko and would that be a problem. She responded that it would not be a problem at all. First hurdle cleared! Now my Japanese is not real good at this stage, and the poor lady's English was about as good as my Japanese! If people keep their Japanese nice and simple (like speaking to a 2 year old) I can usually understand. Unfortunately, opening a bank account generally requires a higher Japanese ability than a two year old has! Things were going relatively smoothly until she noticed on my ID card that my contract with my company runs out in August. Now Japan recently has been hit by people from other countries scamming Japanese citizens using pre-paid phones and temporary bank accounts in doing so, and the fact that my contract was due to run out in a couple of months set off alarm bells in her head, and I can't blame her really. Now the situation with my company is that they work on 6 month long rolling contracts, but what two year old have you ever heard succinctly explain what 6 month rolling contract is? She went off and checked with her boss and them came back to me and asked if my job was a summer job, or if I was part time or full time. All of this was happening half in Japanese, half in English and with the use of her electronic translator. Where she could, she spoke English to me, and in turn, where I could, I spoke Japanese to her. Finally I called my head office and thankfully a Japanese staff member answered the phone. I explained my situation and then handed the phone to the bank teller. The girl from my company then explained my contract to her. The bank teller handed the phone back to me with a big smile and an OK sign! Great. It was then just a matter of filling out the paperwork and the process was done. I gave the girl a big thank you for her patience and persistence and walked out. The name of this bank is Sumitomo Mitsui bank and their sign looks like this. So please, if you are planning to move to Japan, or will be soon, save yourself a few headaches and go straight to Sumitomo Mitsui bank to open your account! 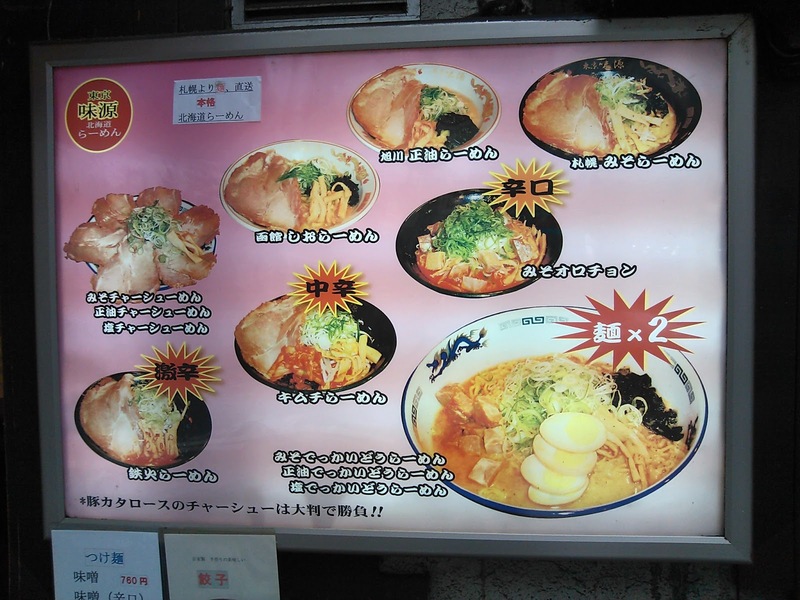 Those who read this blog regularly will know that I am searching for a great okonomiyaki restaurant. I have had a couple of failed attempts but kept on looking. One of my students had mentioned an okonomiyaki restaurant in an area called Kanda that had a great restaurant that she and her husband love. She said that people from Hiroshima go to this one and love it, and that's usually a good indicator. So after opening my bank account I headed off to Kanda in search of perfection! But, no, I stayed strong and eventually found my pot of gold! The part right at the end - カープ says Carp. I walked inside and the owner (a guy who looked like he was in his seventies. His wife and son were working with him) looked up at me with a bemused expression on his face. I guess it is not everyday that a foreigner walks into his restaurant! He asked me to take a seat where ever I wanted to so I did and started looking over the menu. 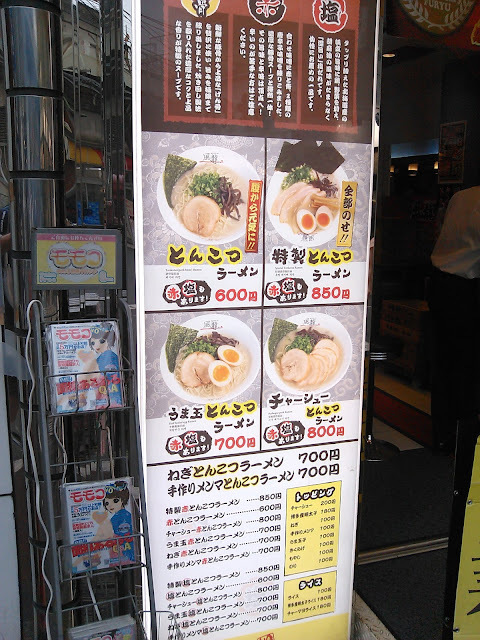 There are three alphabets in the Japanese language, and most of the menu was written in the most difficult one (kanji), and I really have no idea how to read that one! 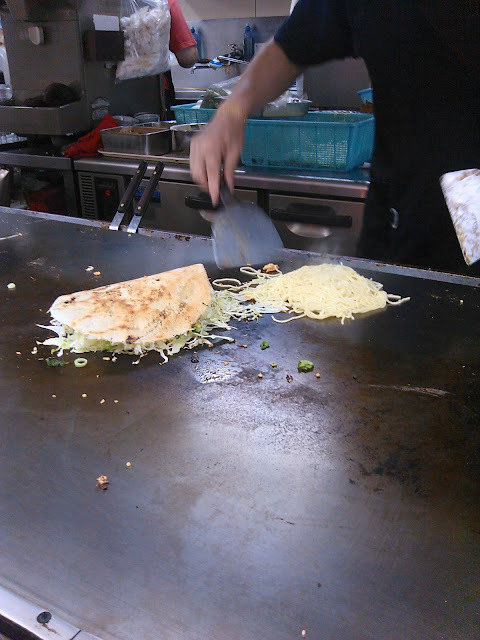 He must have seen I was looking a bit confused so he asked me if I wanted Hiroshima okonomiyaki. I said yes, and to save me the hassle he started cooking the standard okonomiyaki which was fine by me. There are no "special" ingredients in the standard one, I know exactly what is in it. I asked him if it was OK if I took some photos and he said yes. As he was cooking he asked me where I was from and I told him Australia. He then said with a big smile on his face that he went to Australia fifty years ago when he played hockey (the field variety not ice) touring Australia and New Zealand. He obviously had enjoyed himself as that smile stayed on his face for a while! This conversation was happening entirely in Japanese as he was keeping his Japanese nice and simple and easy to understand (just like talking to a two year old! ), and I was very appreciative of that, and was able to respond back in Japanese. The okonomiyaki that traces it's roots to Hiroshima is my favourite Japanese food, but, as some of you know, I have been having trouble finding a restaurant that makes great okonomiyaki. Looking around the restaurant, i was hopeful with this one. It was just a simple little unpretentious local restaurant. 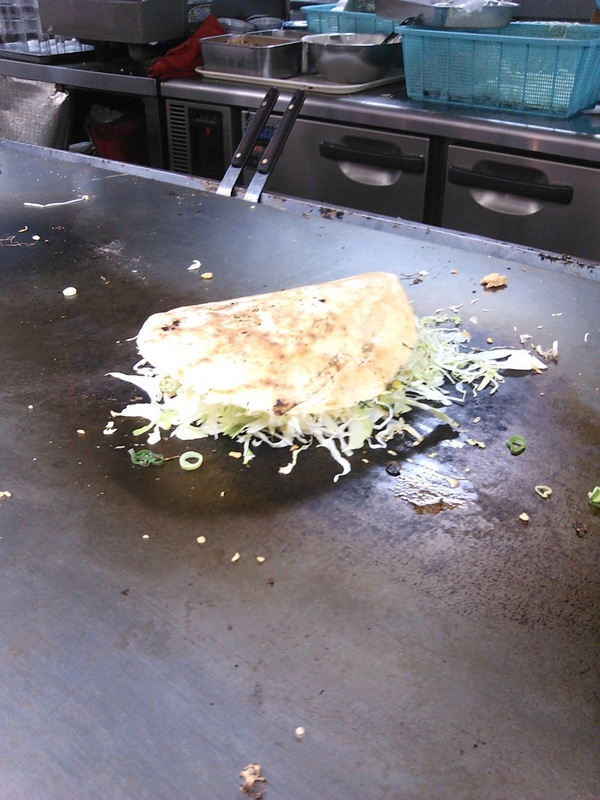 The process of making okonomiyaki involves quite a few steps. First a layer of batter is spread onto a hot plate in a circle. Next a couple of handfuls of cabbage and bean sprouts are laid on top of the crepe and along with some bacon and a couple of different herbs and spices. This is then flipped over and progressively flattened as the cabbage begins to cook. While this is happening, some boiled noodles are then placed alongside the crepe and cabbage part and are cooked through on the hotplate. Finally an egg is cracked onto the hotplate and spread out in a circle about the same size as the other part. The crepe and cabbage are then placed on top of the noodles. This, in turn, is placed on top of the spread out egg. The whole lot is then flipped over, covered with a sweet sauce (a little like BBQ sauce) and whatever other toppings you have ordered. You then eat it off the hot plate in front of you. If done successfully, it should look like this. Also, if done successfully, the finished product should look like this! 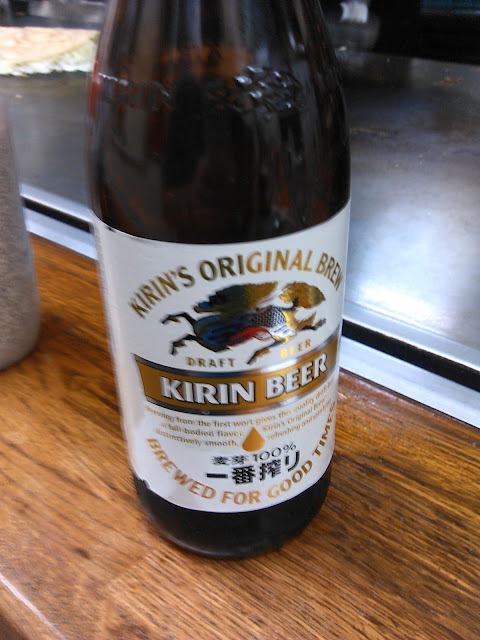 Okonomiyaki is best washed down with this. Especially if it is a warm humid day like it was! 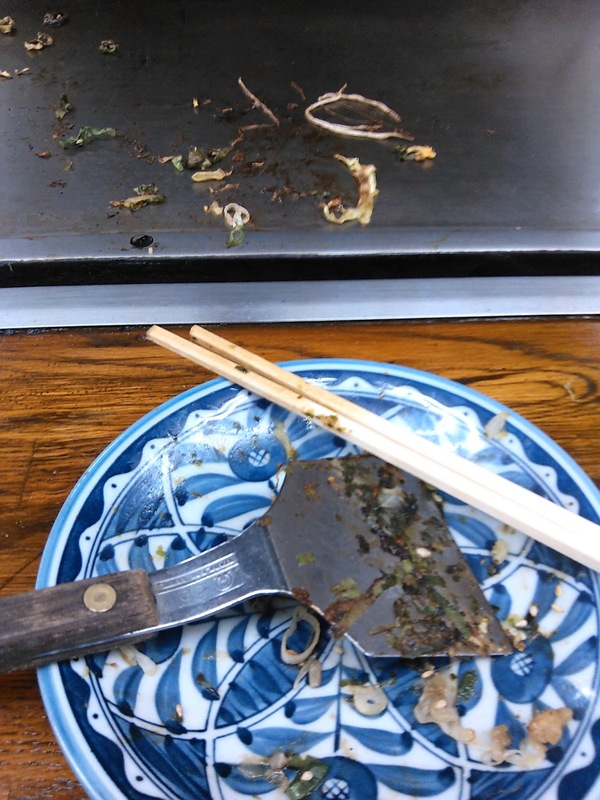 This okonomiyaki, unlike other ones I have tried, was simple, no frills okonomiyaki. 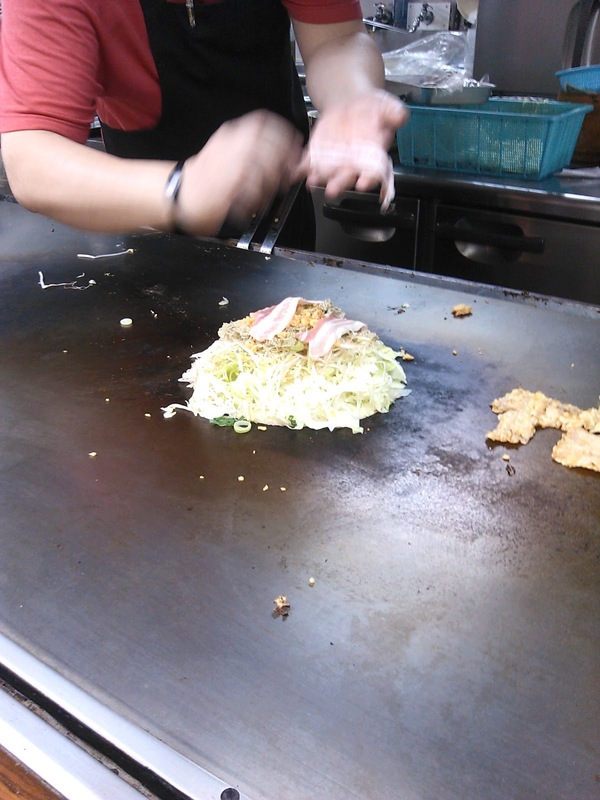 The cook didn't try to do anything fancy with it, just made simple, authentic okonomiyaki, and I loved it! Finally my search had ended. I can now say I have found my new favourite okonomiyaki restaurant. 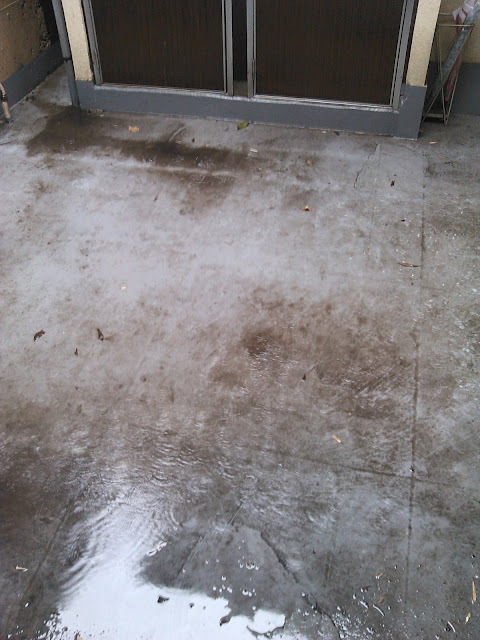 I don't think it was coincidence, but I walked outside and noticed that the rain had stopped. I walked back to the train station is bright sunlight and went home a happy man. 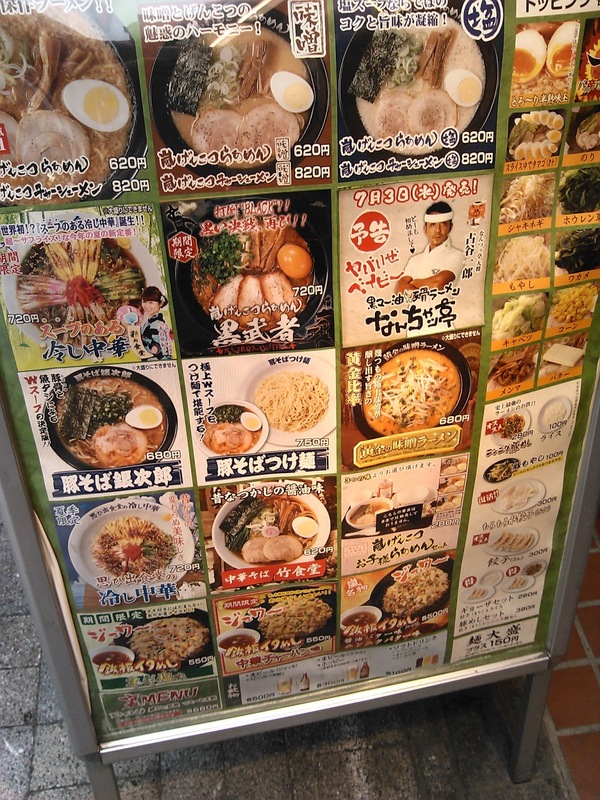 So, if any of you are in Tokyo at any point in the future and want to try okonomiyaki, I'm the man to talk to! Thanks again for reading. Take care, and I will see you again next week. I just finished all lessons today. I've enjoyed our lessons a lot. I really enjoy reading your blog. I also introduced Mike to "Carp". Carp was really good! Probably some of the best Hiroshima Okonomiyaki I've had in Japan (although I haven't visited Hiroshima yet!). Thank you for your reply. I just came back from Malaysia yesterday. That was a nice business trip as usual. 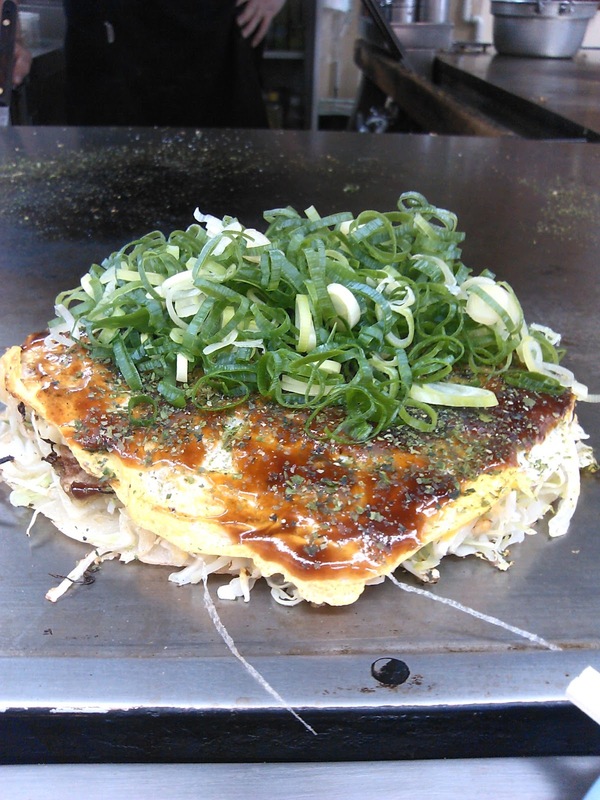 I guess you've been enjoying Hiroshima-style Okonomiyaki well, but you should try Kansai-style as well if you have not tried that yet and you wish to do. Hi Masa. Happy that the business trip went well. Of course we (the instructors) are always interested to hear that your business trips go well. I am planning a trip to Malaysia next year to meet some friends from Australia. Haven't decided where yet, maybe Penang or Langkawi. I do like Kansai style Okonomiyaki. I cooked it often when I was back in Australia, but I never cooked Hiroshima style as it is too dificult. 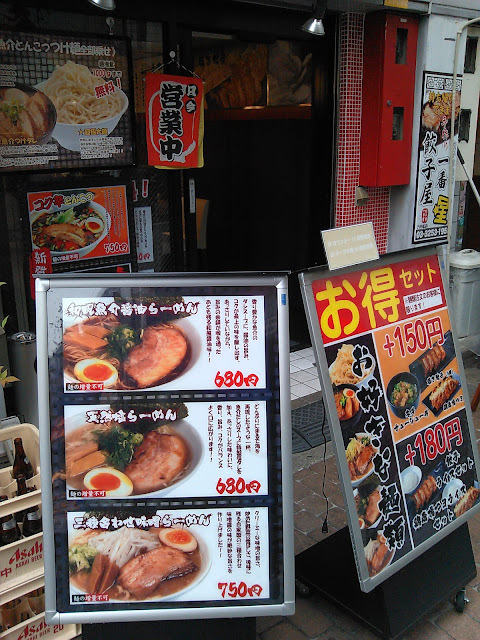 I recently went to a famous Okonomiyaki restaurant in Yurakucho called "Chibo". It was really good. Thank you for the links to other Okonomiyaki restaurants. I will check them out, especially the one at Shimo Takaido as it is only 10 minutes walk from where I live!